The use of LEDs has changed how many things are lighted, homes, cities, streets, and now for a certain city, their famous bridge. 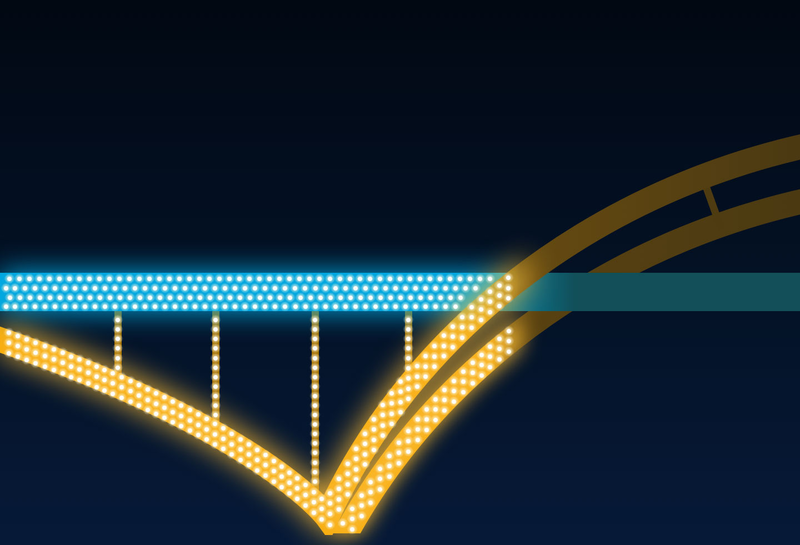 In Milwaukee, Wisconsin, the famous “Bridge to Nowhere” has been a land mark of the city for decades and soon it will light up with LEDs thanks to residents and the kindness of donators. Originally named the Harbor Bridge, the Daniel Hoan Memorial Bridge’s construction in 1970. But with the backlash from the public against the Milwaukee County freeway system, construction ended in 1972, leading to the name “The Bridge to Nowhere.” The Bridge did not open to traffic until 1977, but by then the name was set. This along with its use in the 1980 movie “The Blues Brothers” would be the end of the Hoan Bridge’s claim to fame. But a few members of the Milwaukee community thought otherwise. Spearheaded by Daniel Steininger, grandson of former Milwaukee mayor Daniel Hoan whom the bridge is named after, NEWaukee Founder Ian Abston, and Greater Milwaukee Committee employee Michael Hostad, the Light the Hoan Bridge campaign seeks to light up the city’s famous landmark. As of October 31 of this year, the campaign has raised over $300,000 and has nearly 800 dedications to the people and organizations whose kind acts have made Milwaukee a brighter place. November 1 was the first demo of the campaign, with the lights lighting up and changing with the game of the local basketball team, the Milwaukee Bucks. 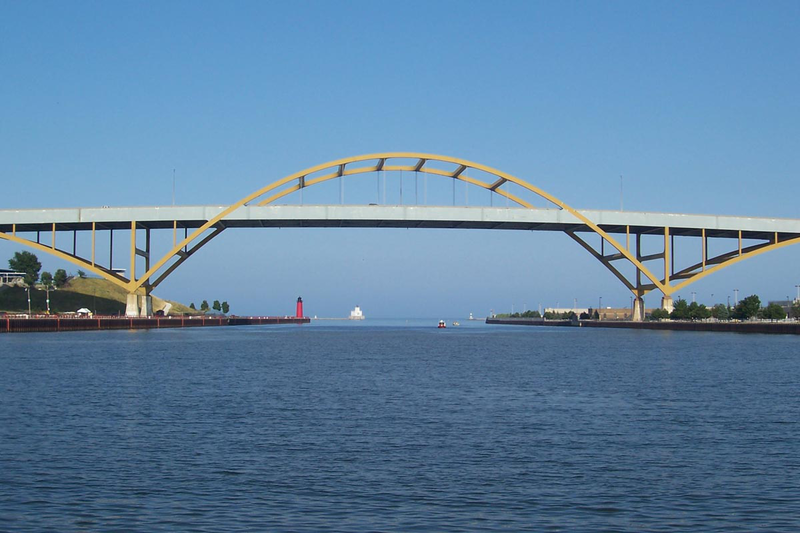 With the project set to be finished in August 2019, the Hoan Bridge might become the bridge to a bright future.